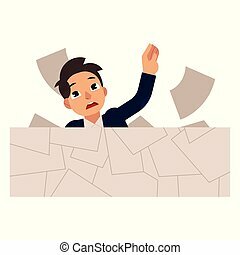 Drowning in paperwork. 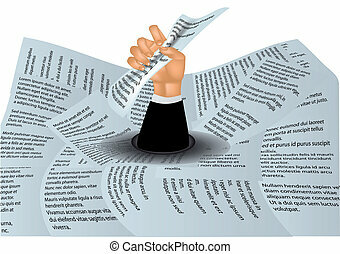 This illustration depicts a man with just his head and one arm sticking out of a stack of papers. 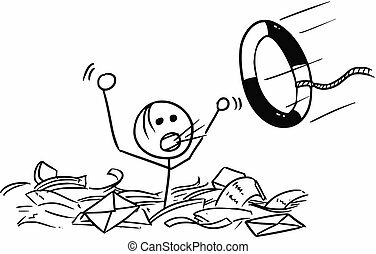 This illustration depicts a man with just his head and one arm sticking out of a stack of papers. 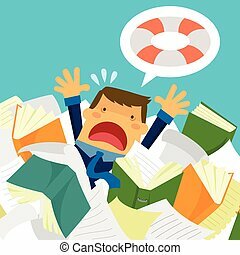 Drowning in paperwork concept. 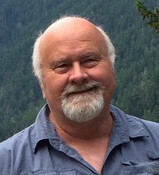 White collar worker want to rescue of paperwork. Place your own text in cartoon (comic) bubble. 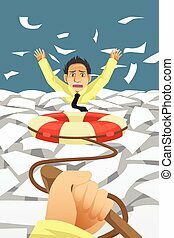 Deadline and time management banners set with businessman drowning in paperwork and scared of ghost with Deadline sign as smile. Flat cartoon vector illustration. 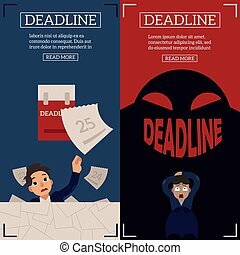 Deadline and time management horizontal banners set with businessman drowning in paperwork and scared of ghost with Deadline sign as smile - flat cartoon vector illustration. Octopus in ocean. Man drowns seamless pattern. Repeating Waves in sea. Hands in water. 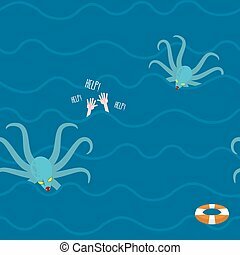 Lifebuoy and dreaded kraken. Drowning shouts "Help". Marine predator on hunt. 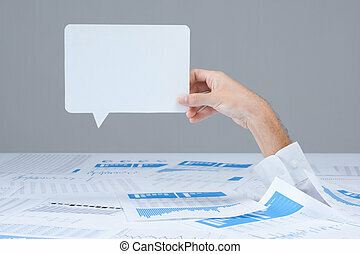 Young businessman drowns in paper work isolated on white background. 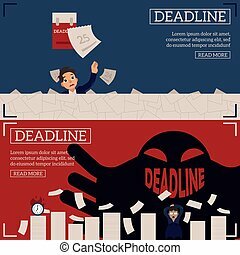 Deadline and time management concept with office employee overworked with documents in flat cartoon vector illustration.